If you were one of the unlucky ones not picked in whopping 233,000 H1B 2016 Lottery Applications , you might be already wondering when is the next H1B season going to start. Also, some of you may be studying in US and some working abroad and planning to work in US next year. This page will be constantly updated with the latest details and commonly asked questions around the next upcoming H1B Visa fiscal year of 2017 season news and updates. H1B 2017 season start date ? H1B Cap for FY 2017- Regular ? Masters ? How to plan for H1B FY 2017 ? How to find H1B Sponsors for FY 2017 ? When is the next H1B Season ? When will the H1B visa 2017 season start ? Date ? Short answer April 1st 2016. Typically, USCIS will start to accept petitions for the next fiscal year starting from April 1st of the previous fiscal year. USCIS fiscal year is from October 1st to September 30th. So, for H1B quota of fiscal year 2017, which starts from October 1st, 2017, USCIS would typically accept applications from April 1st, 2016. The H1B Visa 2016 season started on April 1st of 2015. Also, in the H1B Rejected Notices of 2016, USCIS mentioned that, the non-selected candidates can file H1B petitions for FY 2017 on or after April 1st, 2016. USCIS announced on March 16th, 2016 that they will accept FY 2017 petitions from April 1st, 2016. Read Summary of USCIS press release FY 2017 . What is H1B 2017 Cap ? What are the H1B 2017 Quota numbers ? Regular vs Masters ? If you new to H1B, I suggest you read All about H1B Visa Cap- Regular vs Masters. In simple terms H1B cap is a congressional mandated maximum number of petitions that USCIS can accept in a year. As of now, below are the H1B cap number for fiscal year 2017. The below numbers are confirmed in press release by USCIS on Mar 16, 2016. There have been many discussions around change in H1B cap numbers by Obama administration since 2013. The planned proposal was to increase the regular quota cap to 110,000 and Masters quota to 25,000. No changes for FY 2017, the above numbers of 65,000 and 20,000 are officially confirmed by USCIS in their press release. Update : USCIS Updated on April 12th, 2016 that they have received over 236,000 petitions for FY 2017 quota and the lottery was completed on April 9th. Looking at the past trend of H1B season in the past three years, we could very likely have lottery for FY 2017. Last year for FY 2016 quota, there were 233,000 applications. We have done a detail analysis with the H4 Visa EAD rule in place considering the economy, students graduating, OPT news, etc. You should read article H1B Visa 2017 Lottery Prediction News, results, Date . When to plan for H1B visa 2017 Application ? How soon ? What should be the strategy ? It is never too late to start planning for your H1B 2017 season. If you plan to work in US on H1B visa in the next coming fiscal year, below are some suggestions based on your situation. Professional from outside USA : If you are a working professional outside US, planning to work in US on H1B, your best bet is to find Multinational companies that have major US presence and secure a job there, so that you can position internally for applying to H1B visa, when the season starts. This is a very strategic decision, you need to carefully assess your options, speak to the company if such options exist and then only choose it. Other H4, L1 Visas : If you are on these visas, your best bet is to find companies just like I mentioned for F1 students that sponsor H1B visas and start interviewing and keeping the conversation going so that you can ask them to file H1B when the season starts. How do I find a H1B Visa Sponsor – The most asked million dollar question ? What is the H1B visa 2017 filing fee ? Is it same or any changes ? It changed slightly this year with the Omnibus Bill passed in December 2015, that will increase the H1B filing fee by $4000 for FY 2017, until 2025 for certain companies that have over 50 employees and have more than 50% of their employees as H1B or L1 visa holders in USA. Check USCIS Guidelines on H1B Fee increase. Depending on the size of the company, the H1B filing fee can vary anywhere from $1,600 USD to $7,400 USD + Attorney Fee. There are various fees components that make up this number range, for more details Read Summary of H1B Filing Fee 2017 – Who pays for What ? . Below is a high level summary. Also, one key change is that, there was $2000 USD additional filing fee as per Public Law 111-230, this law expired on Sep 30, 2015 and that is not included anymore. What about Comprehensive Immigration Reform(CIR) and Obama Executive Actions for H1B 2017 Quota Increase ? There has been many articles and discussions since 2013 around immigration reform by President Obama and changes around and some like below have been discussed in the last couple of years, nothing moved significantly. The current status on all of the above are basically “No updates”, there are no set deadlines for any of them and none of these are happening for FY 2017. You may read Summary of CIR Changes to H1B . Officially as per press release on March 16, 2016, the H1B cap is confirmed to be 65,000 for regular and 20,000 for masters…hence, no changes. What is LCA for H1B Visa ? Processing times ? USCIS Updated in their original press release on March 16, 2016 that the premium processing will begin no later than May 16, 2016. But, on April 22nd, they updated that the premium processing for FY 2017 will begin on May 12th, 2016. What it means is that the official 15 calendar day SLA for premium processing petitions will be starting from 12th. USCIS may process the petitions early as well, but officially their clock starts on that day. Did you apply for FY 2017 ? We have put together a tracker along with good graphs for analysis. It is completely anonymous as we do not capture your case number or any personal information. It is community contributed data, the more you add, the better for everyone, including You ! Below is the most recent news regarding H1B 2017 season. You can check the updates page as indicated below for the full history and details. April 22nd, 2016 : (Official Update) USCIS Updated that they will start premium processing from May 12th, instead of May 16th. April 12th, 2016 – 11:50 AM CST ( Unofficial Update ) : It is reported on blog by attorney ( immigrationgirl ) that they have received about 40 email receipts of Premium Processing. What it means is that USCIS has already conducted lottery. We will keep you posted with updates. If I am not wrong, they are just drafting the press release now. Most recent and complete history of all latest breaking news updates from Official sources like USCIS and Unofficial sources for FY 2017 Season. Sample H1B Reject Notices for FY 2017 ? We have many more FAQs around H1B Visa 2017. We will continue to keep updating the page with latest news and updates regarding FY 2017. Bookmark this page and keep checking for updates. in comparison with last year, how many visas were approved in August 2017? After waiting nearly for 1 year I got an email from embassy requesting me to submit the passport. Can anyone pls guide me to sample employer letter that needs to be carried along for the visa interview? The templates/formats available online are generally for visa extension and not per fresh H1b per se. Is anyone still waiting for the RFE to be approved, who have filed the H1B in 2017-Apr and were selected in lottery. In my case I was selected in lottery but my employer say we are still waiting for the Approval of RFE. Yes even in my case i am waiting for the RFE to be approved . I submitted my RFE in the month of August since then i am waiting…. Can any one please answer if USCIS is still working for 2017cases..Is there any hope…. I got approval for the RFE on 22 Feb 2018. It was a long wait but yes still I see few of them still waiting for Approval. Best luck Devdatta. I have got my H1B VISA got stamped after looong wait but moved out of company as company downsized the team 🙁 What options are lfet for me to get this transfer to other company and travel. Could someone suggest any link or company where H1B transfer is taken care. Thanks in advance. All the best others. My employer is a start-up in the US in financial services. Can he offer me a minority stake in the LLP which he has set up to run the business? He would be giving regular salary as per the LCA and wants to give me an upside in profits. Is it allowed as per H1B rules? Secondly, I would want to visit him and see the set up and team before I decide on the structure. Can I visit US on B1 visa? I haven’t applied for the H1B visa yet. After 17 months of wait, I got Rfe in Nov 2017. Now my consultancy/employer is saying that they are not willing to respond to Rfe. As per them, their attorney told that it is not recommended to respond to Rfe as chances are almost 0 as employer still have same client and work requirement which is valid for remaining 4-5 months. However, consultancy is saying that they can respond if I can get a end client letter and other contract info. Does anyone have any info if it is possible and if yes, how can I get the same. Thanks! Still anybody in the same boat….!!!! On February 10, 2017, we received your response to our Request for Evidence for your Form I-129, Petition for a Nonimmigrant Worker, Receipt Number EAC1614250565. Our Vermont Service Center office will begin working on your case again. We will mail you a decision or notify you if we need something from you. If you move, go to www.uscis.gov/addresschange to give us your new mailing address. I am, Jan 6th 2017 ref responded and received. I dont think we will get approvals as from the last 3 months I dint see any approval for 2017 cases. Hi, my employer submitted RFE response on Jan 2nd 2018, and they approved it by 16th Jan. So please don’t lose hope. I am still waiting for the decision.the status is rfe response received since nov 17′. It is my second rfe.it would be good if the decision comes within march so that can move on. anybody knows they started processing for WAC17 series? Yes they have. I have few of my friends who got approval from WAC. yes, but they started for WAC16 series, mine is wac17 so. yes i am talking about WAC 17 only. Ram, when they got the response? they have regular processing? Hi, What happened, now a days we do not see any new posts in this page. Can we still follow this page or comments has been started posting into a different page. Since the 2018 cap subject petitions are in progress, 2018 H1B page is more active than this. You can still post here. I applied for H1B through a consulting company they they told that my name is picked up in lottery this year. They didn’t provide the case number as per their policy they can give it to me only 5 days before visa interview (Is this normal?). 1. What is RFE? Why is it asked? I should be concerned about this or is this normal? 2. Generally when will the visa interview start for this year? and When will stamping happen? I’m completely new to this and have no clue at all and acquaintance to get the information as well. It will be really helpful if someone can answer my query in detail. You should get the receipt number first. Is you get the RFE then company will submit the require document to USCIS within 90 days. Then USCIS will review the petition again and based on documentation your petition case will approve, RFE or denial. There is no time line by USCIS for reviewing the petition case. My company have submitted RFE docs in Feb 2017 and it’s still in RFE response state. Is it advisable to change attorney midway? My case has received an RFE and since last week, my attorney has stopped replying to my employer’s calls and emails. This is the first time my employer has hired an H1B and as such he doesn’t have much experience in this. Now with attorney also not very responsive, he has suggested we change the attorney. Would it have any material impact on how the application would be viewed? Good luck and all the best for your RFE response and approval. What are the next steps? I remember seeing a post about it; appreciate if someone could repost that link. After submitted RFE in Premium processing, I got another RFE, So what should be my Premium processes, Still it will in PP or ended? on 5th oct requests for evidence received. on 6 PP started, on 10th recept was mail for PP. on 17 I got RFE again on status. So 11 days almost gone. How many days left for PP if I Summit it again my RFE? PP repeat for 15 days once you submit the 2nd RFE response. You no need to pay again. 15 days cycle repeats till you get the approval or denial. Goodluck and all the best for your approval. H1B approved after 2 RFE now happy. Did you receive the papers as well ? If yes, How many days did it take ? I received that in 4 days. My case status got changed to “Evidence Received” on 12 th Janauary 2017. Even after 9 months the status is same. My case got picked in lottery in May 2016 and Got RFE in October 2016. We submitted evidence in January 2017. The status got changed to “Received Evidence” on 12 th January 2017 since then the status is same. Is there any one who is same situation like me or mine is a unique case? I contacted my employer they tell me they raised tickets with USCIS but on no use. My employer even told me that there are thousands of case like this not mine also. Is this true? Please help me out in this regard as more than 1.6 years have passed and my case is going no where. I came to know from my employer that all pending cases will be completed by January 2018. Does any one please confirm this. Please let me know what steps we need to take to expedite my case. My case number is EAC161XXXXXXXX and attached to Vermont center. One is go for Premium option if feasible to get result in 2 weeks. Even mine also stuck from 2016 case got approval last month. Raising SR might not help as I had raised 3-4 tickets. Also the USCIS website is mot updating Approval status. Check through your employer or Attorny all the best. Even mine also stuck as Received from April 2016 and case got approval last month. Raising SR might not help as I had raised 3-4 tickets. Also the USCIS website is not updating latest Approval status for 2016 cases. Though mine is Approved but web status says as still received. Check through your employer or Attorny. Mine is also same. Got RFE in Nov 2016 and submitted docs in last Feb 2017. When I contacted to my employer and told him to go for premium processing, they told me to wait for some more time as if we go for premium might me turn in to direct denial. Yes, even my employer also told me the same thing. If we go for premium processing it may back fire on us. So only solution is to wait until our case becomes Approved. Also my employer told me that, by January mid 2018 all pending cases will get cleared. So let us hope our cases will be cleared by that time. On what bases he told that by Jan 2018 all cases will be cleared ? In 221(g) blue slip, VO selected only “Your application requires additional adminstrative processing before a final decision can be made”. Hi All, I need a suggestion. My H4 is under extension and I have receipt notice. My wife’s H1B is approved. Meanwhile my H1 petition also approved. Now I am planning to get my H1 stamped in Canada. Is it possible to travel to Canada with my expired H4 visa n my wife’s approved I797? Please help me. My petition got approved in Mar 2017 for Client A Location A . Now my employer want me to send for Client B Location B, so the employer is going for H1B amendment. I have not done with H1b stamping. How much time it would take for amendment (Change of client and location) as my project will start in Nov 2017. Its better to go for stamping after amendment approval. It takes 4-6 months for approval in normal processing. Is it possible to travel one month before of H1b Visa validity or is there any timeline to enter the US? My company Immigration team said need to travel before 8 weeks of visa validity . Please clarify on that. 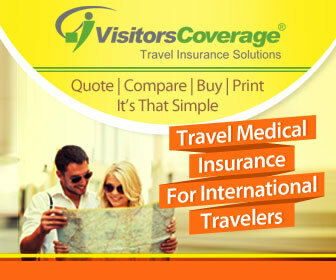 Its usually not recommended to travel with just a month validity. You may be detained at PoE. But I know few of my friends who took the risk and entered US recently with a month validity. So I would say it depends on the officer at PoE. I would suggest you to get your extension & stamping done and then travel. Good luck! Thank you so much Ram, for the clarification. My VISA is approved in NOV-2016 (Applied through a small consultancy) however have not attended for stamping because till now the consultancy could not provide the Client letter (At some point of the time they suggested to attend the interview without the Client letter however I am hesitant to go for stamping without the Client letter). Could you please suggest that can I transfer my approved petition to some other consultancy who will be ready to arrange the Client Letter (On a mutual discussion with my current small consultancy) and attend for the stamping. There is no Ref on my application and has been approved for 2.8 Yrs. Please provide your valuable suggestion on this. yup you can initiate transfer with your approved petition. You can get approval in 4-6 months in normal processing. It will be difficult to stop at this point. Also, since you are in outside US (i am assuming) and never went for a stamping, the visa is not counted. That’s it is difficult to transfer to other company as well and you have to go for a lottery next year. However, there are cases approved without getting an VISA stamping. Check with some experienced immigration attorney. good luck. This is only for 2018 cap petitions and not others. I was told that my visa is approved and not issues any I-128G slip, but it is already a Weeks time and status says as “Administrative Processing”. Any idea and how long it takes to get Stamping? I am currently on H1B visa that expires on Sept 30th 2017. As you might know my H1B extension is in Process and I have the soft copy of my receipt. Due to an un-avoidable family situation, I had to travel to India today. a. Can I travel back to the US before Sept 30 2017. At the Port of Entry will they allow me to enter if I am carrying a printout of my H1B extension receipt? What is the best way to move forward if this is not allowed? b. Will the employer (Cognizant) be able to process my payload if I am still in India after Sept 30th 2017? c. If I can not get H1B extension approval on time, can I get my L2 visa stamped based on the i797 approval notice? If I do so, will my L2- EAD (that expires on June 24 2018) be still valid or do I need to apply for a new L2-EAD? If I enter the US on L2 visa, what will be the impact on my H1B extension processing? Hello everyone! I’m just wondering if my case is unique or it happens “all the time” as I’ve seen a couple of posts here that say that “waiting time” was up to 1,5 years. So, I got picked up in the lottery in April 2017, which my attorney informed me about on the 1st of may. We all know that “theoretically” I’m supposed to start work on the 1st of October 2017, but even in may my attorney told me that “waiting time” might take up to 10 months, but that this period could be reduced. I didn’t believe her , to be honest, as I’ve got friends whose cases were processed quite quickly and they started working in mid autumn as planned. It’s already mid September now and nothing has changed since 1st of may. And I start thinking …. may it really take up to 10 months or more? It kind of contradicts common sense. The USCIS mediates the relations between employers and employees, but if the employer expects a foreign employee to start work on a certain date and this employee has the work permit for three years, how does it happen that the government office makes it impossible due to “slow” processing. I wouldn’t be surprised to see this happening in my home country, but I thought better of the US. Or am I wrong? The wait time to get h1 petition decision can always be more than 10 months based on whether you get rfe or not, luck etc…Also observing the trends past 2 years, USCIS takes more time to finish processing all the selected cases. My h1b got selected in lottery in apr 2016,got rfe in nov 16′ and still waiting for the final decision. As per few websites, approx 1000 cases from 2016 is still pending. About 25k (approx) cases filed in 2017 are approved .Remaining cases ( 40k approx) are either in rfe or case received status. It will take another 5-6 months to finish all the cases.By the time premium processing might have returned and next year h1b filing would get started ,the cycle continues. All, My VISA interview is done and Approved. See all Consulate officers are sitting there to Approve your visa based on your facts and proofs. Hence be prepared. Mine just took some one minutes , they look your confidence in answering, be polite and honest. My visa got stamped from Employer-1 on Nov-2016 and it will be expiring on 2019.But due to some funding issue they don’t have any vacancy right now.Now my question is If I’ll switch to some other employer then will it possible to fly from there ?If yes pls help me to get the step by step process. First, You have to transfer your VISA to the other company. You should discuss with your new employer regarding the transfer process. If internally to my employer I’ll get some other project in different location,how many days it will take for me to complete the entire process? Example- As per my petition my current working location mentioned as NewJearsy but if I’ll get some new project in different location like Cicago or some other places then how many days it will take and wht all are the steps to need to follow up for the same?Please let me know. For changing location in your petition, you may need to file amendment. This might take 4-6 months currently in normal processing. But to work in new location, its enough if you have receipt number of the amendment petition, the approval is not required. I would like to share my H1b status and current situation of mine. Could you please clarify me the legal rule? I am in Cap gap I-20 till Sep 30 2017. USCIS issued RFE on 26th Aug 2017 for my H1B application and my employer is planning to reply in 2 to 3 weeks (end of September or early October ). 2. After Sep 30 can I stay in country till my H1b decision comes? 3. When my 60 days grace period will start where I need to enroll anther program in F1 status or leave the country? If i transfer H1 from employer 1 to employer 2 and due to some reason if transfer gets rejected then does my H1 totally gets terminated or just transfer gets terminated, so that i can continue working with employer1(present employer).Pls advice. I have my VISA interview tomorrow and I just have Typo of USA salary mentioned in DS-160, which is different from what is there in LCA and I-129. (Just some around 400 dollar difference per year.) Will it be an issue? Since DS-160 can’t be changed now, What should I do now? Some one suggested to create one more DS-160 and carry both old and new and ask them to update at consulate office, Is it really feasible or any other alternative. We reached OFC center Chennai around 1:50PM.Since we were standing with a small kid(2 yrs old) ,security person asked us to get in to the building. Our photos and Bio metric taken and then whole process completed less than 30 mins. We reached consulate by 7:30 AM and carrying some biscuits, milk for my daughter. The security person saw us with our daughter and asked us to come forward to proceed inside the consulate. 1st verification is checking if any mobiles, CD’s or any closed covers with you, if you are carrying anything they will ask you to put them out side of the consulate (there is private counter where he will keep all our bags for some good amount). Then they will scan all our documents and perform complete checking. Then we were asked to move to another building some 500 metres away from the entrance. There you can see people standing in a queue tensed and preparing for interview. In the entrance, we had our 2nd verification, which is checking the passport and visa application details. Since we came with our daughter, we were asked to go directly inside the building, bypassing the queue. This is where the actual interview takes place. We were asked to sit for 5 minutes and later called for 3rd verification, which is comparing the bio metric details which taken on previous day. Once you complete this you will be asked to move into actual visa interview queue, where your final tense starts. Greetings exchanged and I was asked to Share our passports. 1. Who is your Petitioner? 2. Who is your client? 5. Role to be played in the US? 6. What is your highest education? Your Visa is Approved !!!! No Questions were asked to my Spouse. By 8:05 AM we are out of US Consulate and we reached home by 8:30 AM. I prepared a lot on the visa interview and referred several sites for additional details but nothing is asked and no questions. Always have faith on your effort and the almighty. Sometimes trust on your luck too. But for me they asked many questions. and finally Client Letter. My petitioner does not provided Client Letter. So i said , i dont have at the moment. So Got Blue slip. my Visa is on hold till submit Client letter. My H1B visa is expiring on October 13th 2017, before when i have to travel to US. Can i apply for extension and then travel or will i be allowed to travel? Got petition approved in may 2017. Went for H1b Visa stamping today , VO asked couple of questions which i replied positively. Finally VO said Your visa will be issued. No need to worry. But it just needs some additional information and given me 221(g) white slip. VO took my passport & few documents of employer. I’m confused now whether its issued or rejected or any chances of approval.??? Approximate time for it. As my petition period ends in April 2018. Can anybody suggest on this….!! EB3 I140 revoked. In India since 2013, got picked up in 2016 lottery and got RFE ,but employer could not provide client letter, so he withdrew the application in Jan 2017. My application was not denied, application was just withdrawn without responding to RFE. 2. Am I H1B cap exempt? Finally my case got approved after 1.5 years wait. Thanks to all. Thanks and wish other waiting folks would get good news soon. All the best. My H1B was approved with 60K per annul salary. Would it be a problem at VISA stamping ? Did anyone get visa stamped with 60K as salary this year ? May I know which consultant are you applied. Are there anyone still in Received status and application applied in April-2016. No idea why they have so many cases un-touched. When I checked company, they said raised 2 SR but no luck so far. Any one has any comments. I am also waiting.but mine is in rfe response received since mar 2017. Don’t know what else to do other than to wait for the decision. Can you guys share your employer name?? What you want to do with ? Same here. My employer is Interactive Medialabs. They also gave same update as Infy did. Raised SR but no update. My Employer wants me to start the work from 1st October!!! Not sure whats going to happen. How many are in same situation? I would like to know is it mandatory to submit the passport along with requested (221g) docs at Dropbox facility as consulate didn’t request for the same ? Now they have initiated stamping last week. The Salary as per my assignment (Deputation Letter from company) has got increased to $YYYYY ( Around 7k$ per annum increase) . I am preparing my D160 form and In Temporary Work Visa Information section, i was asked to fill my H1b petition details. In Salary section, i was asked to fill monthly salary in $ as per LCA ( $XXXXX/12) by GI team. My question is ,since my Salary has increased now as per current assignment, what should i respond to VO when they ask what is my salary? Whether the LCA/I129 salary or Assignment letter salary. kindly advise. ONE OF MY FRIEND TOLD ME THAT HE WILL ARRANGE 3 YEAR WORKING VISA AT USA. (H1B VISA PROCESS. ). KINDLY LET ME KNOW IS IT POSSIBLE…. TO GET SUCH A VISA WITHIN 2/3 MONTHS. KINDLY INFORM WHAT IS THE H1B VISA PROCESS..
FYI, H1B visa cant be sponsored by any individual. A company has to do sponsor it. My Case is still shows case was transferred to new office. My cap-gap i-20 is upto 30 September 2017. In case, I get RFE and it will not resolve before 30 sep then what should be my status after 30 sep ?Right now I am doing a job ,can I do the job after 30 ? My opt is already expired on 2nd July. Please give me correct suggestion? Recently one of my friend traveled with Approved location Amendment ID , But at Chicago airport they deported him back saying that Receipt ID in the system and Approved ID are not matching and to go for stamping again. Is it required to go for Stamping again once after getting the Amendment ID for first time travelers. Please let me know.Thanks. On what date he got deported . Could u please tell me whether he had only receipt notice or the approved receipt. it happened july 31st or 30th . Yes he have approved reciept. Are there more folks from FY2017 who are still on CASE WAS RECEIVED status? I have been waiting since April 11, 2016. Who is your employer? Mine is Interactive Media Labs. When asked them about the delay, they said there is some confusion within USCIS regarding few cases that got transferred from Vermont service center to California. I am not sure what to exoect from all thesr but the wait has been quite long and annoying. Is infy giving you any reason for the long delay? Or are they simply askimg l you to wait? NO, they say they have raised SR and no response. No idea what is exactly happening. “Case was Received” Waiting Waiting Waiting!!!! !